Nico celebrated at the Amber Lounge, where I joined his gang at around 4am this morning just in time to catch last orders. Earlier I was walking through the tunnel towards the Torch yacht party, which has been my home for much of the weekend, when I saw a 40-strong gang in baggy clothes walking towards me. Judging by their look and the fact none of them were walking in a straight line, I guessed they might be Finnish. As they came closer sure enough, like the pied piper of Helsinki, there was Kimi Raikkonen, laughing away, and he gave me a high five as he passed. Good to see him chipper, because when he said Sergio Perez should be â€œpunched in the faceâ€� earlier, for ruining his race, I was a little concerned Kimi might be in poor spirits. Of course not. Give Kimi a shot and everything is fine again. Kimi is a hoot! Atleast he was having fun. Does F1 Need More Raikkonens? The current era of F1 drivers are apparently all signed up to the demands of sponsors and publicity, however one man feels that this isnâ€™t for him, Kimi Raikkonen. The 2007 World Champion made his return to the series last year in the Lotus Renault, and has since become an icon for fans to love, on and off the track. It is common knowledge that the â€˜Icemanâ€™ is a typical Finn, very reserved and quiet, however when out on track, Raikkonen transforms into one of the fastest drivers on the planet. The Lotus racer so far is on a run of 23 continuous top ten finishes, two of them being victories, as well as being in the championship hunt. And yet he doesnâ€™t seem to bat an eyelid at it. 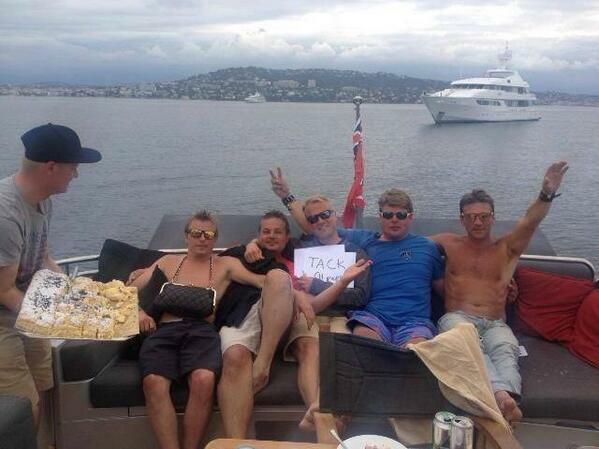 Raikkonen appears to a lone ranger or an outlaw of the F1 paddock. Whilst the likes of Lewis Hamilton and Sebastian Vettel fulfil their contractual agreements on race weekends, Raikkonen chooses not to, and often does his own thing. Even when he does attend press conferences, the often scripted answers from drivers is thrown out the window when Kimi opens his mouth. 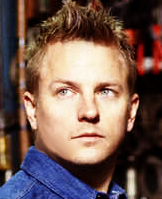 When asked about passing back markers recently, Kimi replied with â€œIf they are being lapped they shouldnâ€™t be racingâ€�. Fast-forward to Monaco this past weekend and his claim that Sergio Perez should be punched in the face for his driving around the streets of Principality. Although it is a bold thing to say, and somewhat out of line, it does inject a breath of fresh air into the sport which is being dominated by tyres at the moment. That fresh air being someone who is bold enough to be different and stand out from the crowd, whilst saying what he wants. Even though Renault have had the past incident with Robert Kubica crashing a Rally car, Raikkonen still chooses to race bikes and cars without concern that he will get injured purely because he loves motorsport. Looking back to years gone by there is only perhaps one notable driver that shares that cut throat approach to everything around the racing, the late and great Ayrton Senna. The Brazilian is labelled as the greatest driver to ever race in F1 and was well known for the way he went about press conferences. If asked a question he didnâ€™t like, then Senna would simply give a bland answer. He too would also race anything with an engine, especially when in those days it was nowhere near as safe as today. 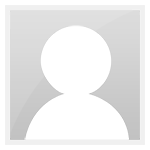 It is these characters that are missed in the world of F1. Looking at other racing series you can see a wide variety of characters from Valentino Rossi to Jason Plato. All of whom get the job done on track, but are very different in the garages. Kimi Raikkonen is perhaps a one off in a golden era of F1, however more of these characters are needed I feel in the coming years to ensure that the sport isnâ€™t about ticking over the money and sponsors. Last time we spoke about Kimi Raikkonen, we had a great chat with his race engineer during his first Formula 1 season with Sauber, Jacky Eeckelaert. This time, we wanted to know more about how things progressed from the first test through to his first race. So we knocked on Jackyâ€™s door again. Kimi Raikkonenâ€™s first F1 race was the 2001 Australian GP in Melbourne. In his first qualifying session he managed to take 13th spot, with his teammate Nick Heidfeld starting only three places further up. It was a good start. The pitlane was about to open for the race and teams had 15 mins to send the cars out to take their positions to the grid. Barely 5 mins before this, the team looked for Kimi who wasnâ€™t to be found in the garage. â€œAll this because he pushed up to the last lap and he close enough to get ahead after the penalty was applied. â€œI asked him after the race â€˜what do you think? Your first ever GP and in the points?â€™, and he looked to me without any expression in his face and replied â€˜another 5 to beatâ€™â€�, concludes Jacky.
" title="ty" /> " title="hug" /> for the articles! Huh I thought Jenni is no longer with Kimi. What is she (& her friends) doing in his boat? Or is this an old photo? Btw which one is Jenni? I think she is partying h" title="hih" /> SheÂ´s the one with the hat in the middle of the first picture.